Today is Saturday, and that means great sales over at Scraps N' Pieces. 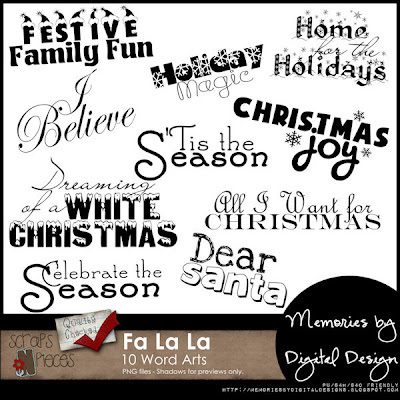 I have put my latest 2 releases, Fa La La and All Boy, on sale for $2 each. Images are linked to the store. 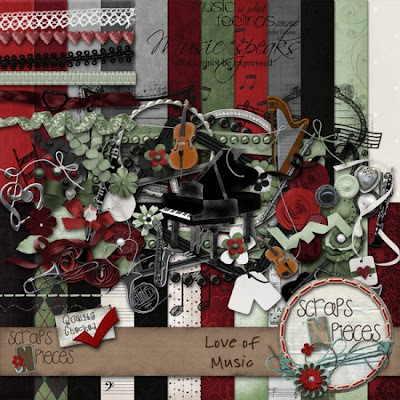 Check out what designers Scraps N' Pieces has in their store for sale - their iconic Abby kit and Love of Music kit - both on sale for $3. Brrrrr it’s cold here where I live . How about you? This week Scraps N' Pieces has their 4 Season Winter kit on sale. You’ll love the elegance of this kit for your pictures during this cold and snowy time of the year. 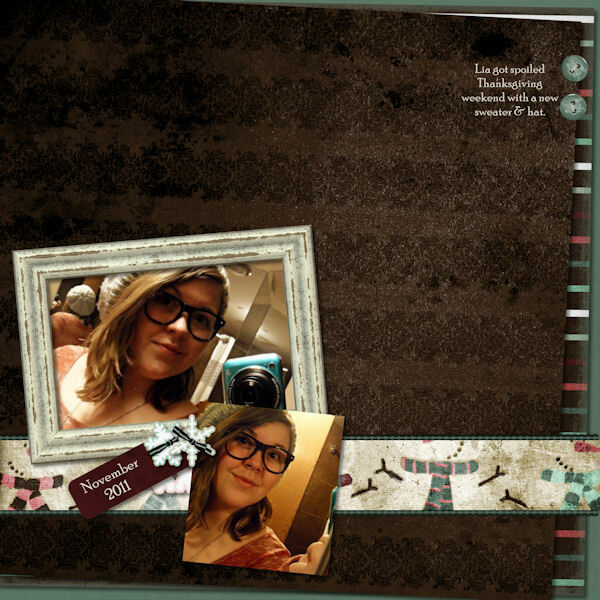 Images are linked to our Scraps-N-Pieces store where it will be on sale for a week for 1/2 off. You can also find this kit at Stuff to Scrap and My Memories.